The Mews, Puligny-Montrachet. 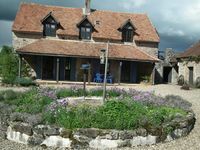 Comfort, charm, cheerful, restored Barn, sleeps 2. Property 7: The Mews, Puligny-Montrachet. Comfort, charm, cheerful, restored Barn, sleeps 2. Apartment 3 rooms historic center Chalon sur Saone. 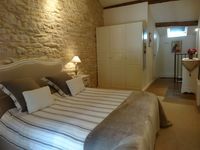 Property 9: Apartment 3 rooms historic center Chalon sur Saone. Neat and clean with incredibly helpful guidebooks and owner&rsquo;s manual. The house is perfectly maintained, well laid out and centrally located. It was ideal for my wife and me for our five night stay. Breakfasts outside, great location for day trips to neighboring towns and incredibly close to some of the best restaurants I&rsquo;ve ever visited. Loved it!! We had a great time in this old farmhouse. Chardonnay is a spacious, fully equipped apartment for two, the pool and the surroundings were really quiet and relaxing. Nice atmosphere, nice contacts with fellow residents every now and then. Judith and Chris are excellent hosts.